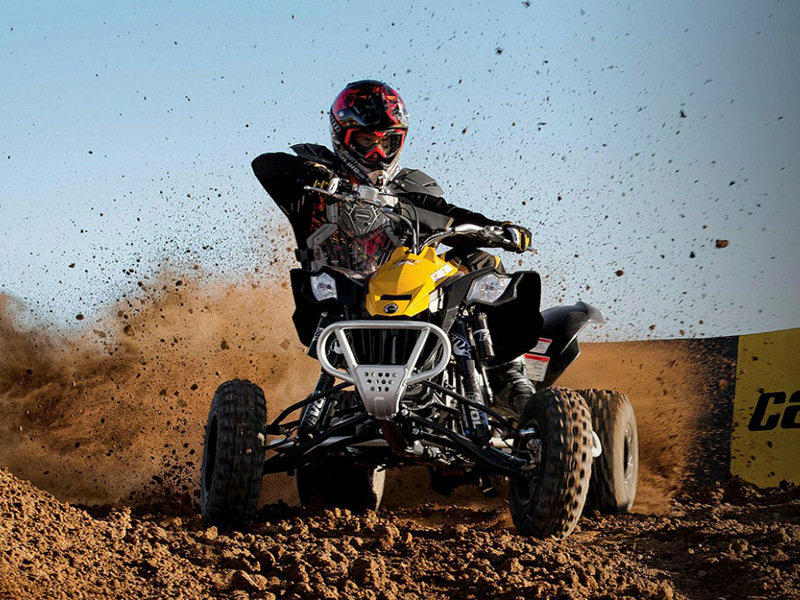 If you want to mix high speeds with the experience offered by riding on off-road terrains, then you should take a spin with the Can-Am DS 450 X mx – a capable off roader that can deal great with anything you throw at it. 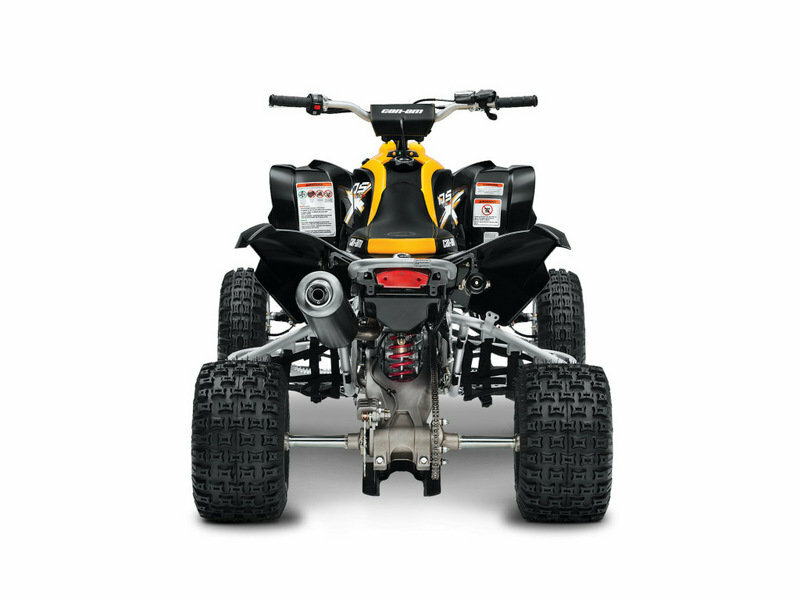 It is equipped with a set of rugged shocks which allow you to adjust the ATV to fit a wide range of terrains and riding styles. 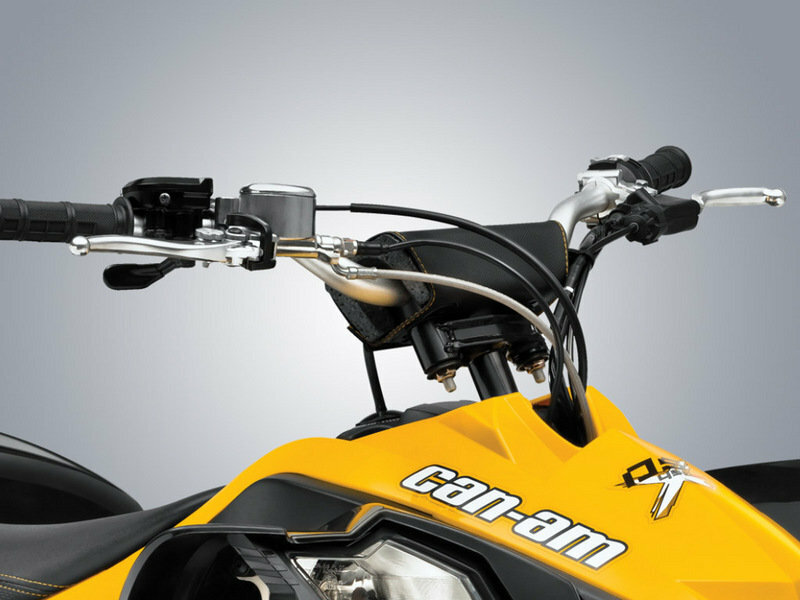 Apart from the adjustable shocks, the Can-AM DS 450 X mx also gives you the possibility to adjust the length of the rear axle. 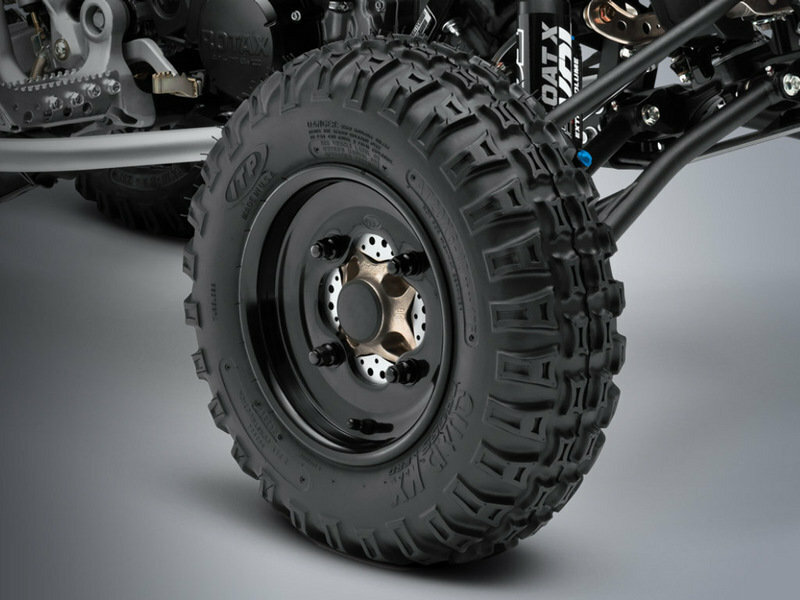 As far as tires are concerned, the ATV rides on high-performance, 20-in ITP QuadCross MX Pro tires up front mounted on 10-in black, aluminum ITP T-9 wheels and rear 18 in tires paired with 8-in black, aluminum ITP T-9 beadlock wheels. 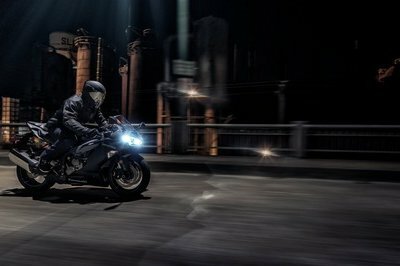 Power comes from a single-cylinder, liquid-cooled, DOHC 4-valve engine with a displacement of 449.3 cc. The DS 450 X mx was built on the lessons learned – and success achieved – from racing multiple pro series. 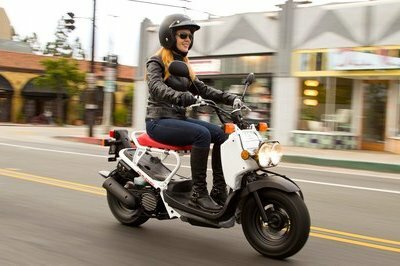 Engineered to race, the reliable Rotax® 4-TEC 450, liquid-cooled, single-cylinder, 4-stroke engine has what it takes to get you first off the starting line and keep you out in front. 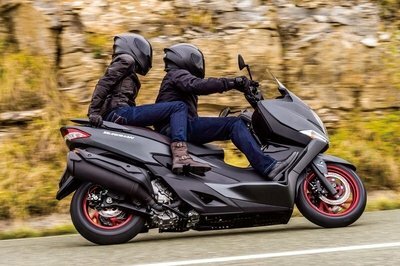 The DS 450 is equipped with a 449 cc 4-stroke EFI Rotax engine, offering the largest bore and the largest intake valves from the DOHC 4-valve head, with 97 x 60.8 mm bore and stroke. The EFI uses the largest throttle body and a near-straight intake path. 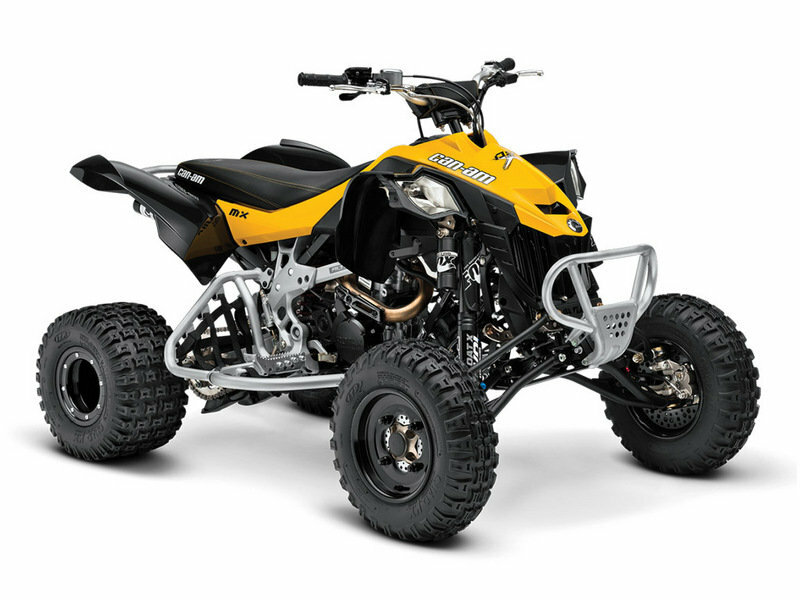 Every Can-Am is built with a Rotax® engine, featuring best-in-class power and industry leading power-to-weight ratio. Unmatched power provides a performance edge and delivers superior fuel efficiency. Competition-ready 5-speed manual transmission with foot-shifter and manual clutch lever. Features heavy-duty clutch and 9 friction plates with Direct Link mechanism. The Electronic Fuel Injection system with 46-mm throttle body, 16-bit CPU, and 32-MHz clock speed efficiently delivers fuel to the engine, resulting in more power and reliability. Heavy-duty, race-ready O-ring chain can handle the high stress of racing. Industry-exclusive shocks allow the DS 450 X mx to be easily adjusted to fit any riding style and navigate any terrain. FOX FLOAT X EVOL front shocks feature dual-speed compression, infinitely adjustable air spring, and 10.7 in. (27.2 cm) of travel. FOX PODIUM X Remote rear shocks feature dual speed compression, rebound and preload adjustments, and 11.1 in. (28.2 cm) of travel. Many top motocross pros are choosing to race with a rear width that is slightly narrower than the front-end width. You can too, with the DS 450 X mx Chromoly 4140 adjustable-width hollow axle. Adjustments from 46 in to 50 in are possible with 0.5-in spacers. High-performance ITP QuadCross MX Pro tires give maximized traction on track surfaces, especially for blue-grooved. Up front, 20-in ITP QuadCross MX Pro tires mounted on 10-in black, aluminum ITP T-9 wheels. The rear tires are 18 in, on 8-in black, aluminum ITP T-9 beadlock wheels. Black aluminum ITP 10x5 T-9 GP front wheels, and black aluminum ITP 8x8 T-9 Trac-lock rear wheels. Plus 2-in. double A-arm with adjustable caster and camber gives a 50 in. (127 cm) front stance. The low seat height provides a lower center of gravity and racing position, giving you an edge on the track. 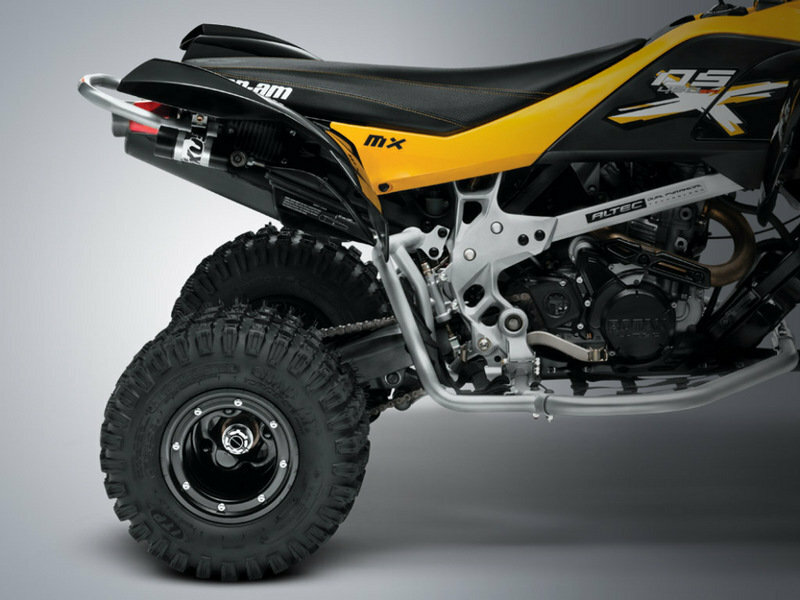 Straight from the factory, the DS 450 X mx comes complete with lightweight aluminum nerf bars with netted heel guards. If you like, the nerf bars, side extensions, and heel guards can be removed with ease. 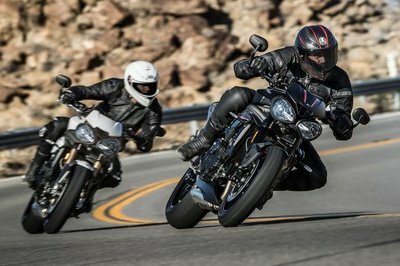 Low seat height provides a lower center of gravity and race-ready positioning for aggressive riding. Straight from the factory, the DS 450 X xc comes complete with easily removable, lightweight aluminum nerf bars with aluminum heel guards. Comes with a 3-mm full aluminum chassis skid plate and 5-mm full aluminum swing arm skid plate. You don’t need an aftermarket stem to get a better feel: a +1-in extra-strength steering stem with anti-vibe mounts comes standard on this model. Mounted to the steering stem is an aluminum 6061-T6 taper-profile handlebar with square racing pad. Comes with wind deflectors and square pad for a premium look and protection from brush and cold. 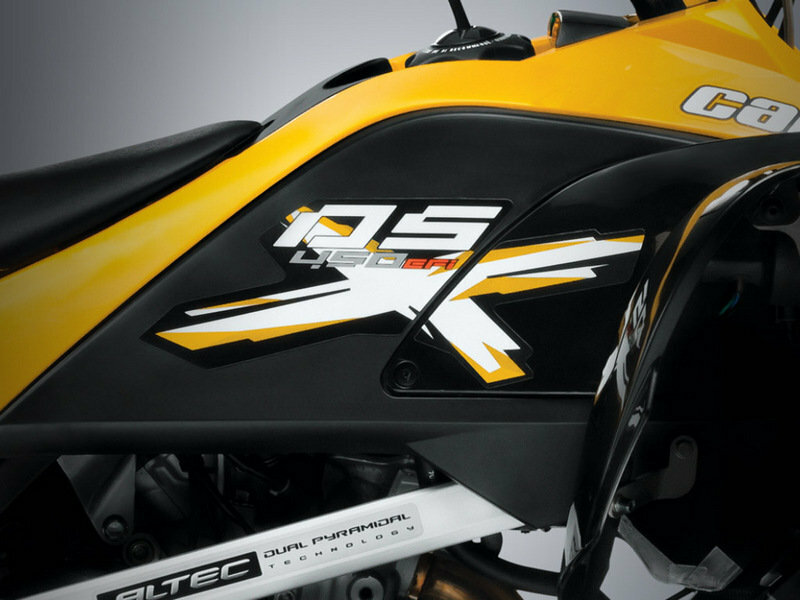 Coloration, graphics, and seat cover exclusive to the X package give your ride a sportier look. L X W X H (IN)* 72.4 x 46 x 41.9 in.